Just 45 percent approve of the job Mr. Obama is doing as president in these preliminary exit polls, while 54 percent disapprove. Congress receives an approval rating of just 25 percent, while 73 percent say they disapprove of the job Congress is doing. More than 62 percent of voters cite the economy as the most important issue right now -- significantly overshadowing any other issue. As many as 88 percent say the economy is in bad shape, while more than 86 percent are worried about the direction the economy will take in the next year. Four in 10 voters say they are worse off financially than they were two years ago. Just 35 percent say the country is headed in the right direction, and 62 percent said it is on the wrong track. With that grim outlook, voters appear ready to change the balance of power in Washington. Republicans are poised to win back dozens of congressional seats and possibly regain control of the House. The new dynamic will present a challenge for Mr. Obama as he attempts to continue with his agenda through the second half of his term, and it will give voters renewed expectations for progress in Washington. Republicans need to gain 39 seats in the House to win control and 10 in the Senate. President Obama and the Democrats have managed to pass several pieces of legislation in the past two years -- including major packages like health care reform -- but nevertheless face poor approval ratings from voters. In today's preliminary exit polling, nearly half of voters -- 48 percent -- said health care reform should be repealed. Another 31 percent said it should be expanded, while 16 percent said it should be left as is. 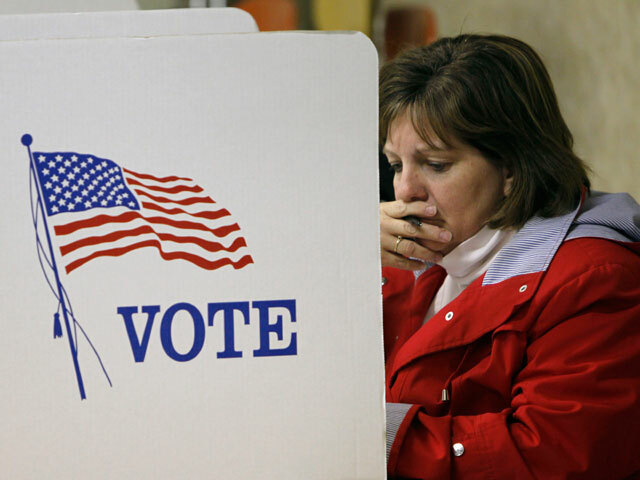 Voters in the exit poll were split over the effect of the stimulus: Thirty-one percent said it made no difference on the economy, while 34 percent said it hurt, and 33 percent said it helped. In a CBS News poll from last month, just 38 percent of voters surveyed said they approved of how Mr. Obama has handled the economy. Meanwhile, as many as 80 percent of likely voters said that most members of Congress should be replaced with someone new. Anxious for results out of Washington, about three in four voters said in a recent CBS News poll they want Republicans and Mr. Obama to compromise with each other. The results of tonight's election, however, may result in a more ideologically divided Congress.